A sensor cleaning kit for just £40 that lets you clean your own sensor? We find out how it performs in our review. This sensor cleaning kit from Lenspen includes a blower, sensor cleaning pen and a loupe to make spotting dust specks on your sensor easier. All this only costs around £40, which seems quite good value, especially as Lenspen proudly state that the kit is used and trusted by NASA. In this review we'll take a good look at how easy the kit is to use, and how it performs. In the box you are provided with a Lenspen SensorKlear II cleaning pen, for removing stubborn dust, a blower, for removing less stubborn particles, a loupe, which is designed to fit snugly onto the camera mount and is illuminated with a ring of LED lights, two AAA batteries and a pouch to keep everything together. 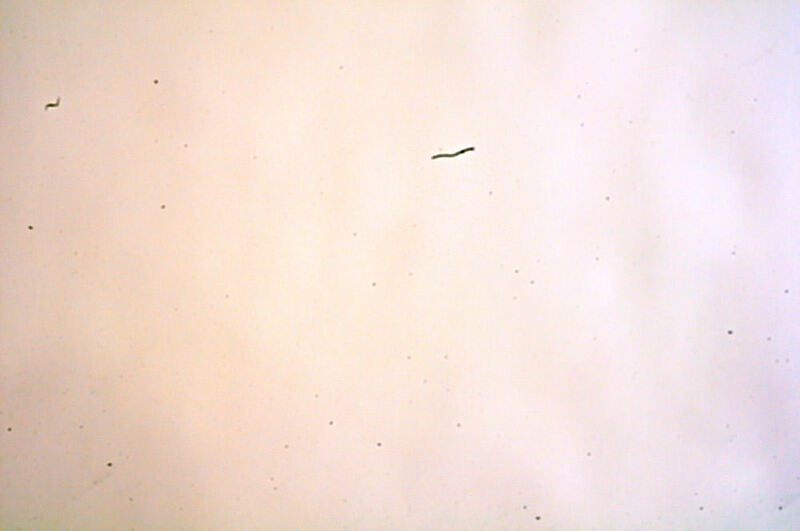 The cleaning process is quite straightforward. First use the blower to remove any loose dust particles that aren't adhered to the sensor. Use the LED illuminated loupe to check the sensor for dust. A ring around the loupe allows you adjust for focus, and there is a preset setting marked for cleaning Four Thirds sensors, which is handy if you have one. Then, use the edge of the cleaning tip of the Sensorklear pen to remove stubborn dust from the sensor with the loupe in place. Given a steady hand, and a little time to set everything up correctly, this sensor cleaning kit is very effective. The supplied blower is great for removing detritous from the sensor chamber and loose dust from the sensor itself. 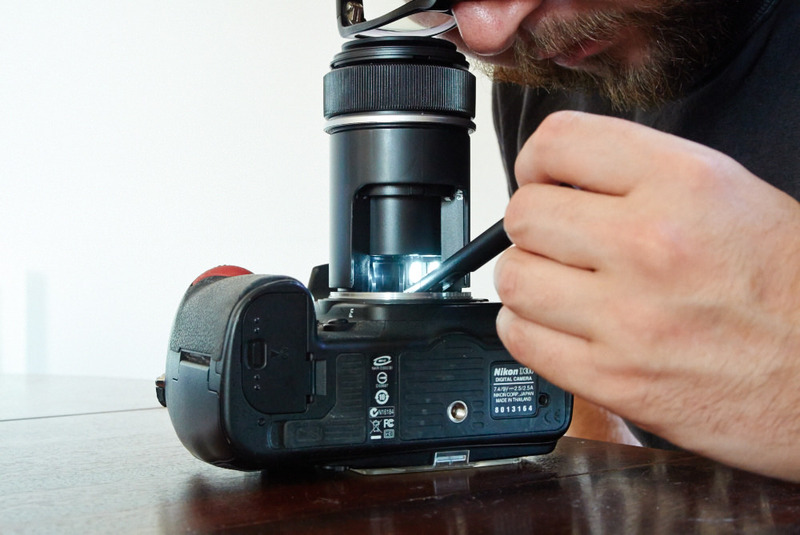 Having the loupe at your disposal makes spotting even the tiniest of dust particles very easy indeed. Each spec is well illuminated by the LED lights, making them stand out a mile, and the Sensorklear pen does a great job of removing them. 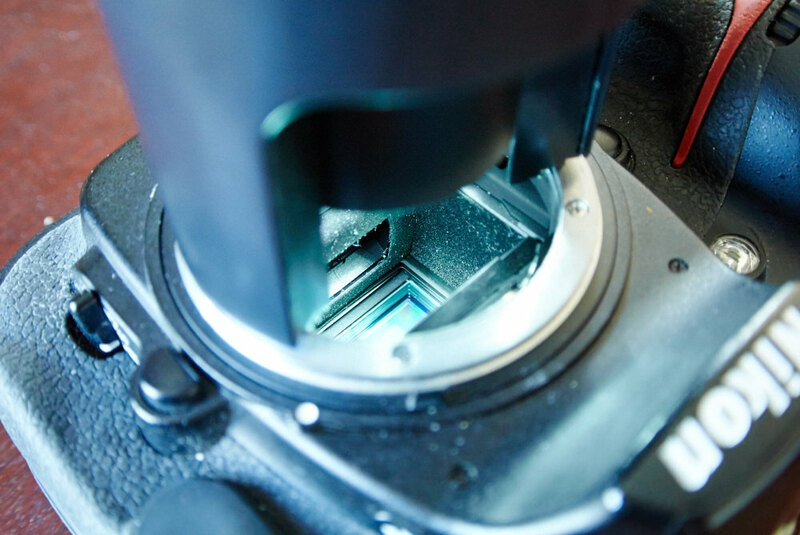 The loupe itself can be a little tricky to set up on some cameras, especially full frame cameras, as it can be difficult to see the whole sensor area through the loupe. 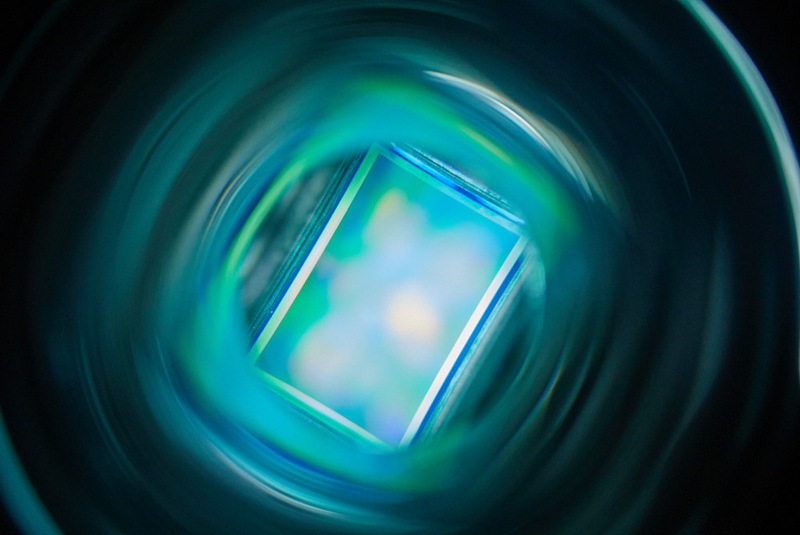 Cameras with smaller sensors, such as Nikon DX, or APS-C sizes, are catered for much better by the loupe. 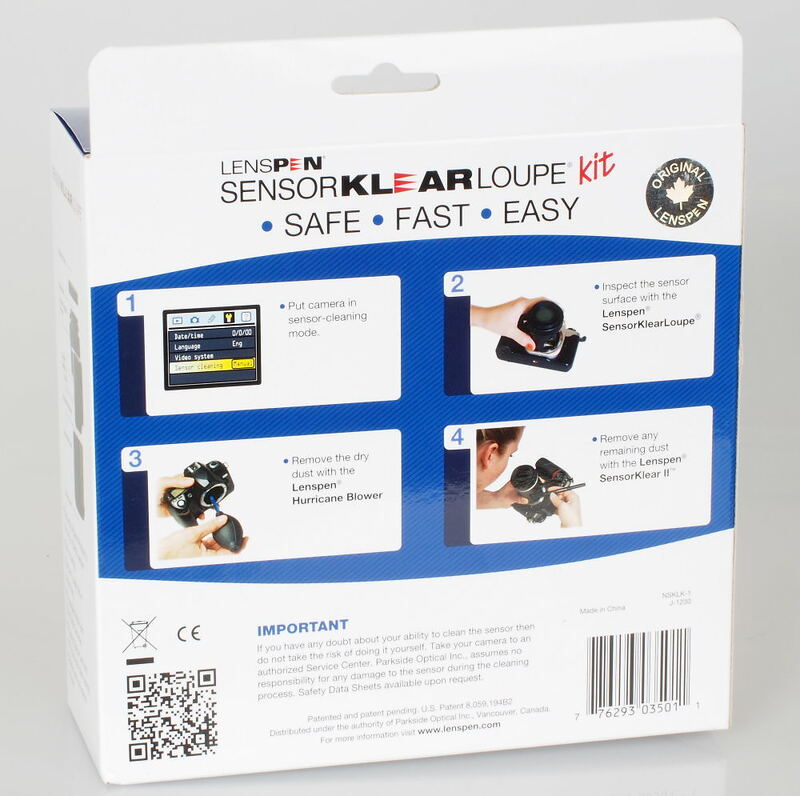 One niggle with the packaging is that the eyepiece of the loupe has a piece of protective plastic attached to it, which needs removing before use. The protective plastic can be difficult to remove, as there is no extended tab to grab hold of to peel it off. 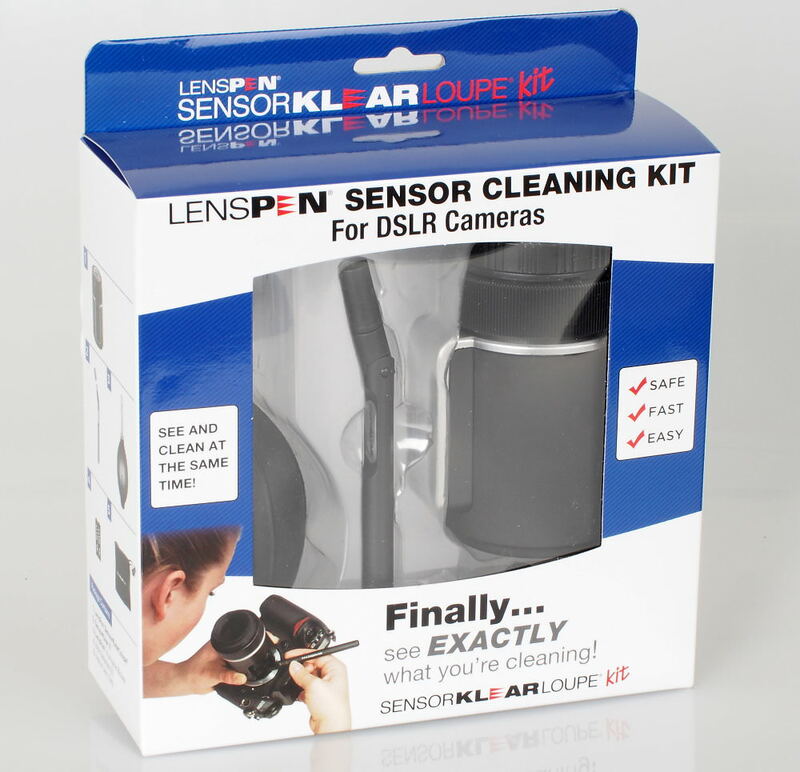 With a price of around £40 this kit represents excellent value for money, especially as other loupes designed for sensor cleaning, like the Visible Dust Quasar Sensor Loupe can cost £75 on its own, with no cleaning materials and the Delkin Loupe Sensor cleaning kit costs around £100. The Sensorklear II cleaning pen can be picked up for around £10 on its own, so the kit with the loupe and blower represents a slight saving compared to buying items individually.  Although using a loupe for sensor cleaning may seem unnecessary to some, it does help greatly in spotting that speck you know will appear in every picture you take with an overcast sky. For only £40 for the whole kit, this cleaning system represents excellent value for money. 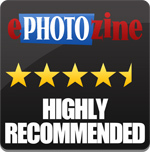 Not only is it good value, but it is very effective also, allowing you to be sure you've captured every last particle of dust that may show in images. The LensPen Sensoklear Loupe Kit is very effective and very good value for money. I have this kit and would recommend it. Works just as the reviews says. Interesting. Might Pick one up. Just curious what does the pen tip look like, is it a brush? Interesting. Might Pick one up. Just curious what does the pen tip look like, is it a brush? It is a small triangular shaped pad which you can get right into the corners of the sensor.